Are you dreaming of a wild travel destination, with wide open spaces, fresh air and breathtaking landscapes? If so, you have come to the right place. Plunge in to this journey and let the authentic villages stories draw you in. 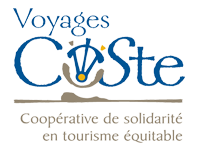 Discover a fascinating culture and a community proud of its more than 8000 years of history. Your trip will take you to a unique travel experience you’ll never forget. One thing is for sure - Soft adventure starts here! 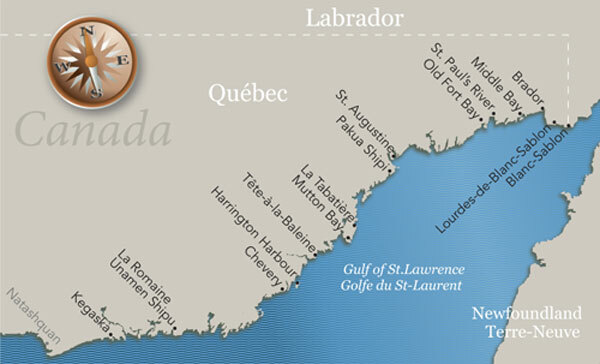 Despite an illustrious history and spectacular landscape, the Lower North Shore is one of the least known parts of Quebec. 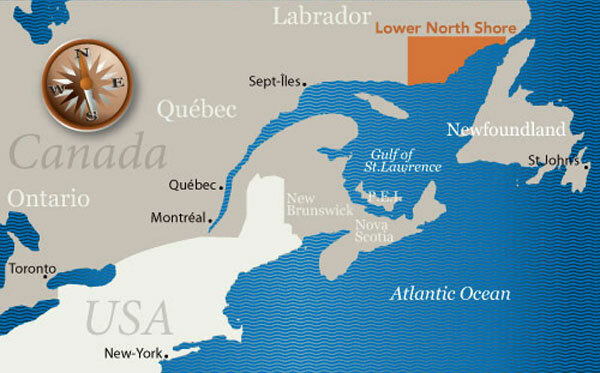 Located some 1,600 kilometres (994 miles) northeast of Montreal, it stretches 375 kilometres (233 miles) along the north shore of the Gulf of St. Lawrence. Beginning at the Natashquan River to the west, the Lower North Shore covers remote territory beyond the end of the road. 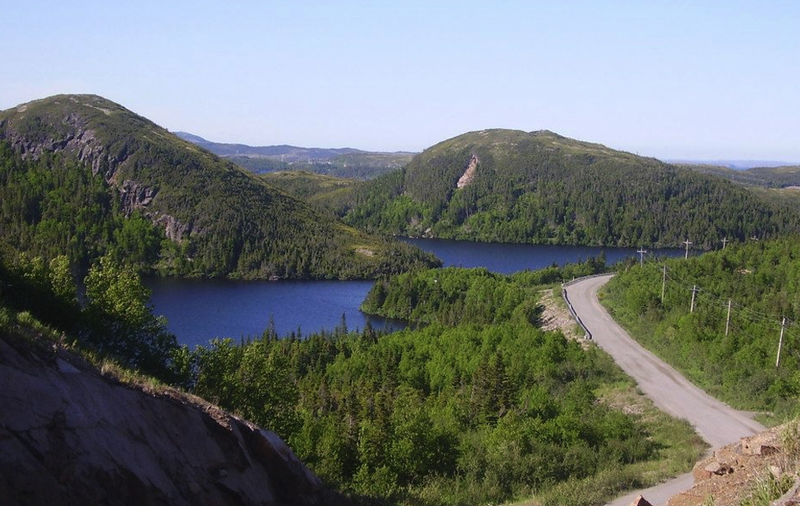 Route 138 begins again at the village of Old Fort, and takes you to the eastern end of the Lower North Shore and the border with Labrador. The Lower North Shore is a wild stretch of coastline dotted with islands, passages, and sandy beaches. 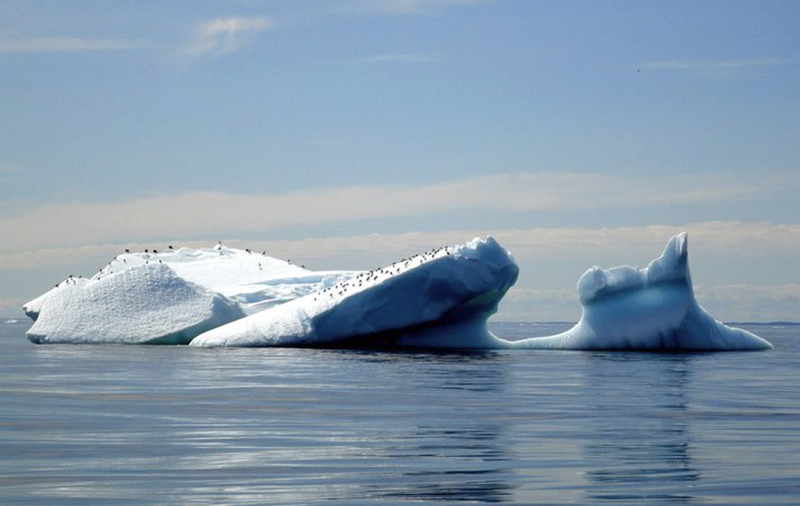 The Gulf of St. Lawrence resembles the ocean here, with whales, seabirds and the occasional iceberg that drifts down from Greenland. Fast-flowing salmon rivers cross boulder fields and tundra. 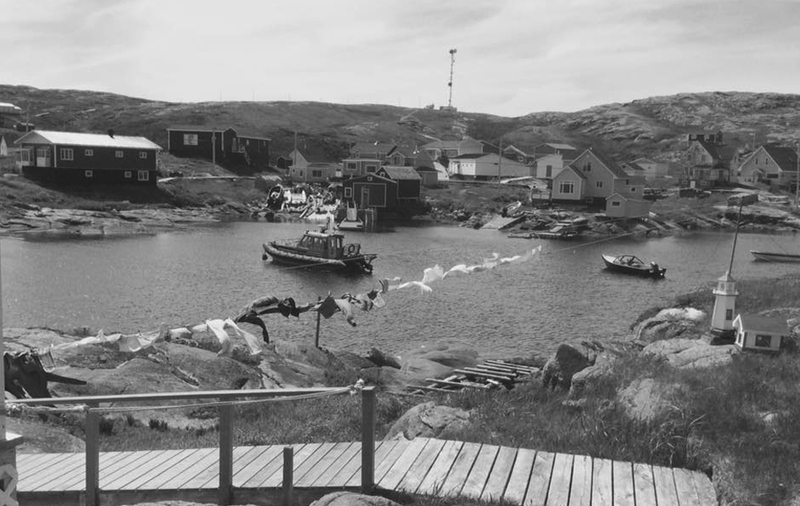 The natural resources of this seemingly barren land have attracted many people for thousands of years, from the ancient Maritime Archaic Indians to today’s French, English and Innu-speaking inhabitants. Today, some 5,000 residents of the Lower North Shore make this isolated and grandiose landscape our home. We call it the Coast, and refer to ourselves as Coasters. 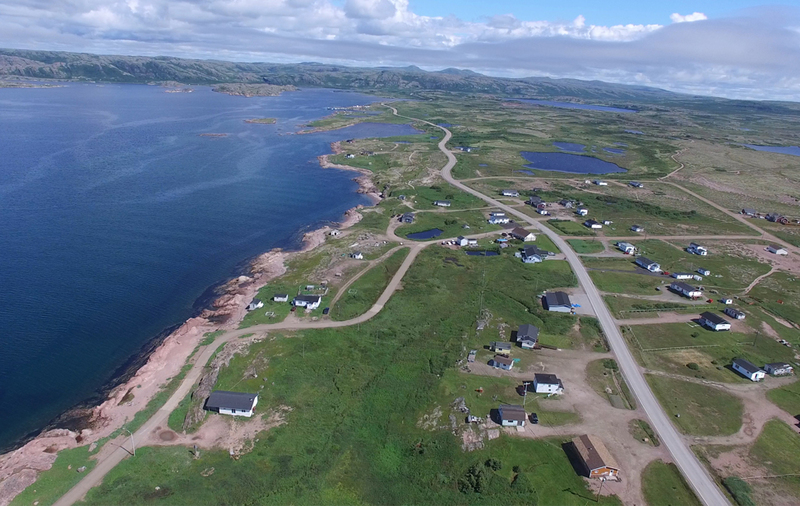 The Lower North Shore stretches from the Natashquan River to the border of Labrador. It consists of 15 small villages, each with its own distinct character. Many are still not accessible by road. Years of isolation allowed each village to develop variations in traditions, architecture and even accents. The population was once scattered across more than 70 tiny fishing posts. Today’s consolidated villages range in population from 50 to almost 1000 residents.